Hello. Thanks for visiting Modern Firearms website. I run this website since 1999, and I am the sole author and webmaster of this resource. As of now, this site contains well over 1200 entries (each in two versions, in English and Russian languages). Every day this site is accessed by tens of thousands of unique visitors from around the world. Ok, so here I am: Maxim Popenker, born in 1973 in Leningrad (now St.Petersburg), Russia. I still live there with my wife, two kids and a cat. I graduated from St.Petersburg State Technical University, and have served in Russian army as lieutenant in Air Defense Forces. Since 2000 my primary job was to do programming in ABAP programming language for SAP R/3 systems. In 2016 my career took a sharp turn and now I work as a social networks representative for the “Kalashnikov” concern, the largets Russian small arms manufacturer. 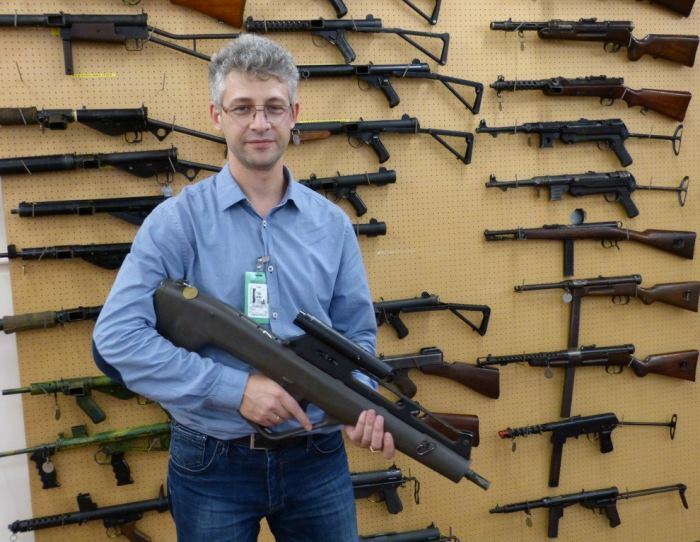 Firearms are my long term hobby; it started as a “just for fun” personal website in 1999, and by now I’ve worked (and keep working) for several domestic and foreign gun magazines, as well as wrote several books in Russian and English languages. Below you can see covers of these books.